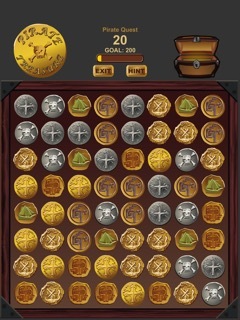 Match three pirate coins in a row to collect treasure. Avast, me hearties! 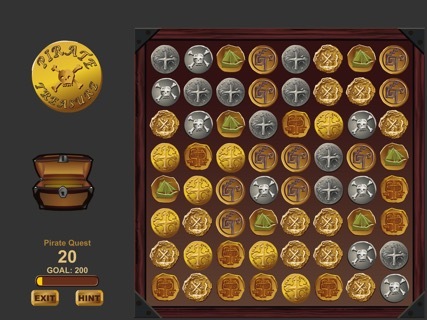 Time to claim your treasure! 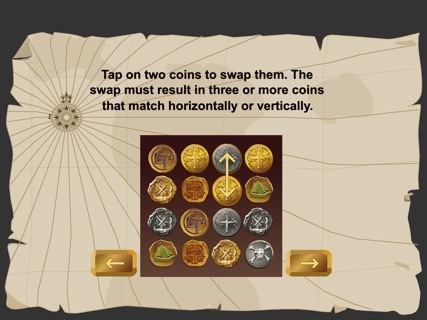 All ye need do is to match three coins in a row to add them to your loot! 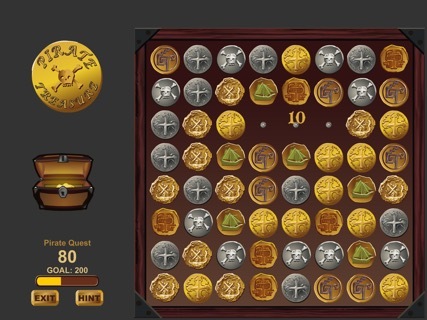 This be a buccaneer's version of the classic match three game. Fair winds will bring you special bonuses when you make multiple matches. 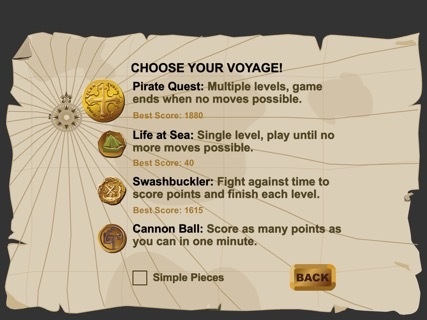 This here game includes four scurvy-preventing variations: Pirate Quest, Life at Sea, Swashbuckler and Canon Ball. So heave ho and hoist the mainsail!